The Campbell Hausfeld 2-gallon, oil-less air compressor (FP199500AV) is designed for basic inflating and fastening. 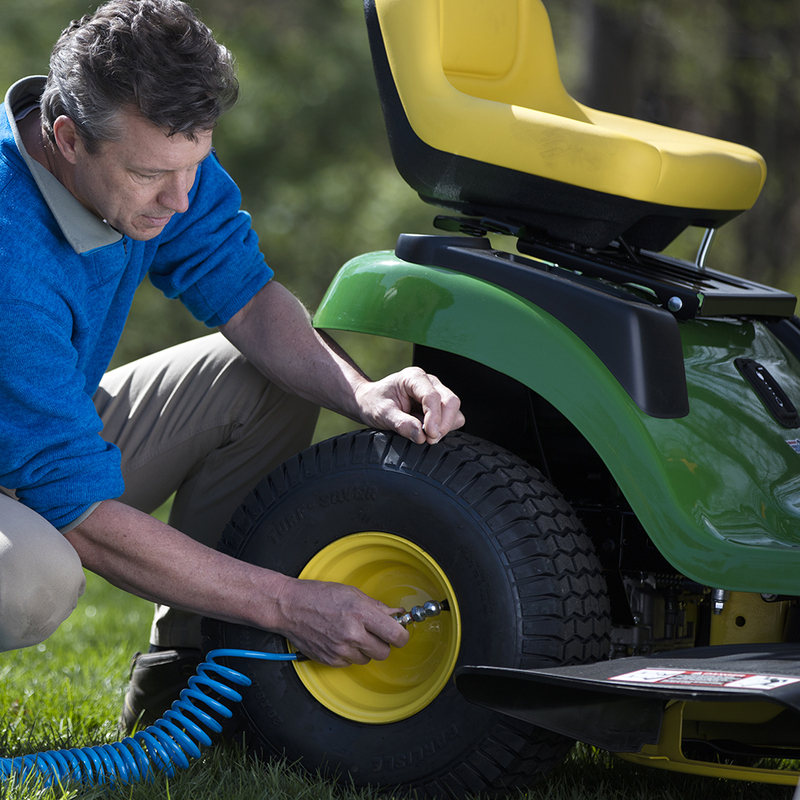 This portable air compressor comes with a soft-grip handle for comfort and easy mobility. The fully enclosed shroud keeps users safe from hot and moving parts. 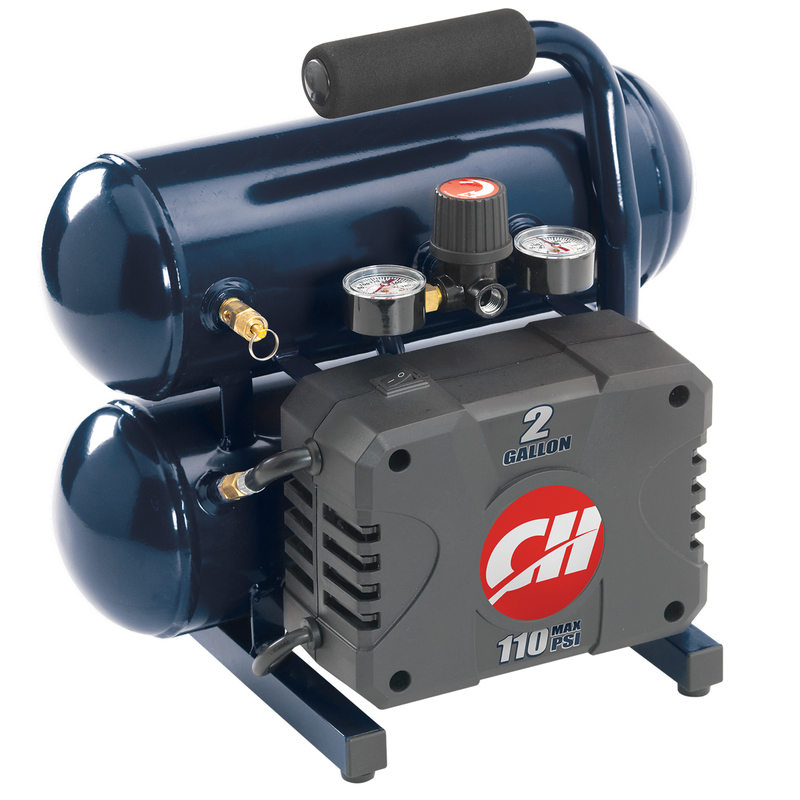 This air compressor includes a 25-foot air hose, inflating needle, (2) 1/4-inch industrial plugs (M), female coupler, (2) inflation nozzles, tire chuck and inflation adapter. Operates on 120-volt household current. 110 Max PSI, 0.39 CFM @ 90 PSI.